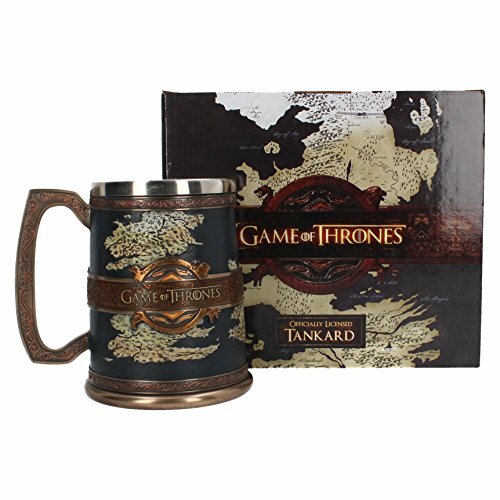 Transport your customers to the world of Game of Thrones with this magnificent tankard. 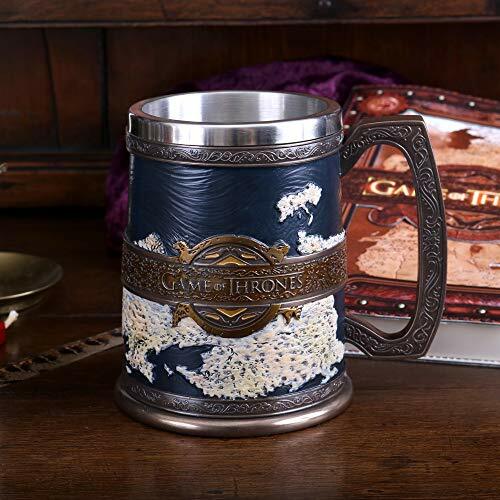 The body of the tankard bears a beautifully detailed map of Westeros and Essos, a red band circling the middle covered in subtle filigree patterns. The band bears the name "Game of Thrones" in the middle of a golden ring at the sides, reminiscent of the clockwork mechanisms in the opening sequence of the show. 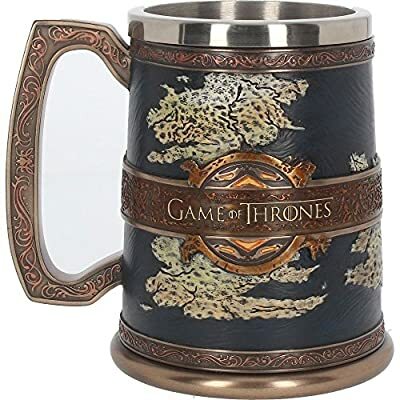 Two narrower bands of red filigree circle the tankard, above the bronze-coloured base and below the steel rim.